Test prep often takes center stage as we move toward the end of the school year. Figuring out how to prepare your students for state testing without boring them with never-ending multiple choice questions and reading comprehension passages can be a challenge. You want to do your best to give your students strategies for tackling those tricky reading comprehension questions that are often seen on state testing. There is a definite structure to testing that students need to be familiar with. However, there is only so much practice students can engage in without sacrificing other learning opportunities. Since time is our most precious commodity during the school year, I wanted to share some fun ways of preparing your students for state reading tests. These ideas are easy-to-implement and won't require a ton of time so you can get back to teaching. The ideas are perfect for your 3rd, 4th, or 5th grade classroom and are guaranteed to engage your students much more than the typical reading comprehension passage practice format. Make reading test prep fun by having students pick the worst answer. Make test prep colorful to encourage students to find text evidence. While test prep is often a necessary evil, being stuck in a desk isn't! If you've got a fidgety class, Scoot Passage Practice is the perfect way to get them up and moving. Prepare the “game” by cutting apart the questions for the passage you will be using. Place them around the room in a logical order. Give students the passage and 10 minutes to really read and study it before starting the game. Provide Scoot answer document and assign students to start at different points around the room. Students should bring their passage around with them so they can look for supporting evidence to answer the questions. Give students 2-3 minutes at each station. When time is up, have students scoot to the next question. Be sure all students move at the same time. When students have been to all stations, you can provide them with a copy of the questions and review answers. Make sure the questions are placed in a logical order and model how students will rotate before starting. You can save copies by having students record their answers on a notecard or in their reading journal. Be sure to have them number it BEFORE beginning. Remind students to make sure they record their answer in the right spot. The number of the question should correspond to the number where they record their answer. If you have some students who may need extra time, you can allow students to return to a station after they've been to all the spots. Alternatively, you can allow specific students 2 rotations at each station. If you have students with accommodations that allow them to have the questions read aloud, you can be sure to start each rotation near them so you can read the questions and answer choices. ✔ You have a group that requires frequent redirects or struggles to focus. ✔ You have a fidgety class who is always moving. ✔ You have enough space for students to easily move to different locations around the room. ✔ Your students have been in their seats for quite a while and you need to re-energize them. Research shows movement is important for supporting focus. This technique allows students to focus in short bursts and have frequent breaks. Process of elimination is a commonly taught testing strategy. It can be an incredibly helpful tool for struggling students and those that struggle with testing anxiety. However, we seldom give students enough time to practice the strategy and verbalize their thought process. Tell students you're going to be working on your passage a little differently. Provide students with the passage and questions. Explain that you aren't worried about the right answer. You want students to find the worst answer. Tell them that this is the answer that is the most ridiculous or clearly not true. Give students time to read the passage and begin selecting the worst answers. This can be done independently, in pairs, or in small groups. When students finish, bring the group together. Read through the passage, and have students take turns reading the questions aloud. Let students vote on which answer would be the worst to select. Have them defend their answer or try to persuade their peers to switch their choice. Consider having students highlight their worst answer instead of circling it. This would allow you to have students complete the passage to find the correct answer at another time. Ask probing questions to get kids thinking and considering all four answers. Consider giving students time to work individually before partnering them up to discuss. Collaborating can help them develop their argument for why their answer is the worst. Don't forget to connect WHY you did this. Remind students of the importance of process of elimination and considering all answers. Discuss why this can help them on testing, especially if they get stuck. This strategy is definitely not one I would use in all classrooms. However, it can be very effective if used correctly. Here are some groups that could benefit from test prep in this format. ✔ You've got a group that rushes through passage questions without considering all the choices. ✔ You've got a group that enjoys lively discussion and can handle some debate. ✔ You've got a group who isn't actively using testing strategies and you want to give them opportunities to practice. ✔ Your students often fail to find evidence to support their answers. They like to go with their gut. This strategy helps students practice analyzing the answers and eliminate the wrong ones. It gives them an opportunity to think about what would make sense. By finding the wrong answers and eliminating them, they are actually limiting their choices. This can help them find the correct answer and increases their odds of getting the question correct if they are unsure which of the remaining choices is correct. Something about a marker makes everything more fun. Bust out the markers and let kids color-code their questions and evidence. I like to assign each question a color so I can more quickly and easily check their work because the colors all match up. To prepare, select a color for each question in the passage. Try to make adjacent questions have a distinctively different color to make it easier to grade. Provide students with the passage. As a group, mark the passage questions with the color code you decided on. Have students work independently or in pairs to read the passage and answer each question using the appropriate color. Text evidence should be color coded to match the questions. When finished, have students partner up (or switch partners) and look over their passage to see how the color coding aligns. Discuss as a class and review correct responses. If allowing students to color code with marker, be sure to print the passage and questions single-sided. Otherwise, have students use crayons, colored pencils, or even gel pens. For students who may struggle with this, you can cut the questions apart and give one question at a time with the corresponding color. Once the student answers a question, they can glue it to a white piece of paper to effectively re-assemble their passage questions. Talk about the text-based evidence. Look for differences and similarities in what students used to support their answers. Teach students to underline or go over their evidence once rather than coloring over it. This strategy can be effective for most students, but there are some exceptions. ✔ Students who are color-blind. This might seem silly, but you'd be surprised to discover you've likely got a color-blind student in your class. ✔ Students who tend to doodle. Crayons and colored pencils are just too tempting. ✔ Perfectionist students. It is harder to erase when you are using colors so you may want to skip this strategy for students who will struggle with errors. This strategy supports visual learners by using color to help them categorize and support their answer choices. While it may take a little longer, students typically take a more careful approach to finding evidence rather than rushing through. This strategy is fun because it really gets kids thinking and analyzing the questions related to a passage. Sometimes we spend so much time focused on reading the passage that the questions are an afterthought. If you see this in your classroom, I recommend trying out this strategy with your next nonfiction passage. Copy passage questions separately from the passage. Provide only the questions to students. Read the questions as a group or in pairs. Have students try to infer what the passage is about based on the questions and answer choices. After you generate your predictions and determine the topic of the passage, brainstorm and make a list of what the students already know about this topic. Once you've activated their prior knowledge through brainstorming, provide the passage. Have students read the passage and determine if they were correct in their inferences before responding to the questions. Use this strategy with nonfiction passages first. They are easier to break down and students typically have some background knowledge about the topics. If you have lots of students with accommodations, like oral administration, you can read each question and the answer choices aloud to the group. This strategy is great for all students because it focuses on activating prior knowledge, which has been shown to be an extremely effective learning strategy. However, when it comes to test prep, here are a few groups that this format is perfect for. ✔ Students with reading disabilities or dyslexia because it gives them auditory access to the questions prior to the passage. This can help them better break down the passage and identify important parts. ✔ Students who rush through their work because it forces them to slow down and really think about what they are about to read. It prevents students from just reading one answer and circling without looking over all the choices. ✔ Disfluent or struggling readers because it allows them to preview the questions prior to reading the passage. This prevents fatigue from using so many mental resources for decoding. This strategy is good because it focuses on activating prior knowledge. We know this can help students work through more difficult text and questions. It can also help focus their attention on key aspects of the text. It also builds their familiarity with the topic before reading so as they read the passage it triggers their memory of the questions. This is part of what makes it a great strategy for students with dyslexia, as they tend to have strong listening comprehension. More and more state tests are moving toward computer-based versions. Whether this is available to all your students or just a few, using technology is a great way to engage reluctant learners and allow test prep to feel like a game. One of my favorite websites for passage practice is Kahoot! To use this reading test prep strategy with your third, fourth, or fifth grade students you will need to have access to devices. Students use their device to respond to the questions. Prepare by typing the questions and answers for your passage into a quiz on the teacher section of Kahoot. Provide students with the passage and allow them to read it independently, in partners, or in small groups. Once everyone has finished reading, you can discuss the passage if desired. This is a great way to keep kids engaged and get a preview of their understanding. Have students log in to the student side of Kahoot using the access code you'll receive. Have them respond to the passage questions. Plan to give them several minutes for each question so they can look back in their passage. The site will automatically score and provide you with the data. Go to the teacher side of the site and gather formative assessment data to determine where reteach and review is needed. 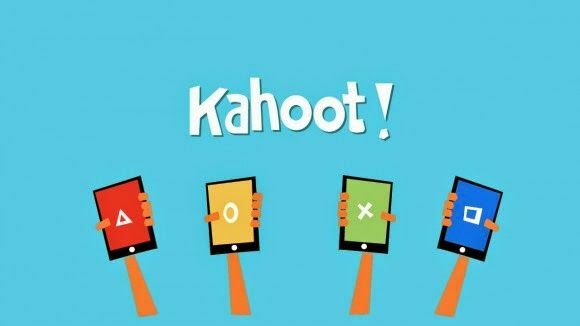 If you need more specific information on how to set up a quiz on this site, please read this article I wrote about getting started using Kahoot. If you are short on technology, you can partner students or have them work in small groups to reduce the number of devices needed. The prep for this process is longer than the rest of the strategies, but it is self-grading so the time is saved on the back-end. If students make up inappropriate usernames or other issues arise, you can remove a student from the digital group and make them re-enter with more appropriate information. Using sites like Kahoot can be a fun way to freshen up your reading passage practice in preparation for state testing. However, it isn't a strategy that will compose the core of your test prep. Here are some times to avoid this strategy. ✔ Don't use this strategy when you are first starting out with test prep, as it does not facilitate modeling testing strategies. ✔ Don't use this test prep strategy last minute or when you are in a hurry, as it requires more preparation. ✔ Don't use this strategy when your technology is unavailable or is in such low-supply that student groups must be large. ✔ Don't use this strategy with students who have trouble transferring visual information from the board to their desk. Immediate feedback has been shown to have a big impact on correcting misconceptions and improving student understanding. This type of practice allows for personalized feedback after every question. It also makes learning fun! It also allows for quick and easy data aggregation, which can help you target areas where students might need extra support or practice. This time of year it can be so easy for test prep to become stale and boring. These 5 simple test prep strategies have kept it fun and fresh in my class. They do not replace teaching students about the format and tips for taking the test, but they do give them some alternatives when it comes to passage practice. Have other suggestions for me? I always love to try new things so leave them in the comments!! I hope this article gave you some new ideas as you get your students ready for the reading tests coming up this spring. If you’d like more ideas from The Third Wheel, be sure to follow me on Teachers Pay Teachers, Facebook, Pinterest, and Instagram to keep up to date and on the latest tips, tools, and freebies for your classroom.